It’s almost the weekend which means it’s almost time for Lowland League football! Throw out those sad emojis and replace them with the praising hands! It’s going to be a cracking weekend and to celebrate we’ve given Craig, Ronan, Martin and Jordan EVEN MORE WORDS to tell you all about it. 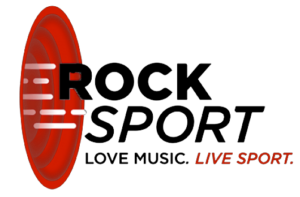 From now on we’ll be picking out one match from the weekend’s fixtures to do a wee bit of a deeper dive on. This week you’re getting not only the thoughts from Edinburgh University vs University of Stirling – the Uni Derby! – we’ve also thrown in a wee bonus preview of East Kilbride vs Edinburgh City in the Irn-Bru Cup! Perhaps the most unique match in Scottish football is coming up this weekend when Edinburgh University play host to University of Stirling in what has been aptly dubbed the University Derby. Stirling currently sit one point behind Edinburgh in the Lowland League, however they often enjoy success in this fixture. They have won the past four league fixtures and recently beat the hosts 4-1 in the Football Nation Qualifying Cup. Stirling manager Chris Geddes is not taking the fixture lightly though, and he acknowledges his side will have to be on top form from the first whistle in order to come away with three points and keep their streak over their Edinburgh counterparts alive. Geddes also sees this game as a chance to kick start his side’s season after a tough run of games has left them lower in the table than he would have liked. Edinburgh University manager Dorian Ogunro was full of praise for the visiting side and he admitted that it will be an incredibly tough game for his team but he insists it is a game in which he and his players are looking forward to being a part of. “This is a game we always look forward to, but one which we’ve had little success in over the past two seasons. We’ve lost all four league matches in that time, so it’s the biggest game of our season so far. “They thrashed us 4-1 in the cup two weeks ago so we need to significantly raise our performance levels if we want to get a positive result. Edinburgh Uni striker Abdul Yusuf showed his class, scoring an audacious lob to earn the Uni a point against East Kilbride, while University of Stirling striker Aidan Ferris will be looking to make an impact in a big match for his side. Gary Jardine’s high flying Civil Service Strollers welcome Stephen Swift’s stuttering BSC Glasgow to Christie Gillies Park on Saturday. Strollers continued their fine start to the season with a 2-0 triumph at Gala Fairydean Rovers last time out thanks to goals from Jordan Hopkinson and Steven Froude. The hosts will be looking to extend their excellent start to the campaign and potentially get back to the top of the table with East Kilbride in Irn-Bru Cup action. A positive result against BSC would help in keeping Swift’s men away from closing the gap at the top of the table. BSC haven’t been at their best so far this season, but a 3-2 victory over University of Stirling last time out could be the catalyst in kickstarting their season and gaining some momentum. Thomas Orr was again on the scoresheet for the Indoorhill as he continued his impressive start to the season. The visitors have added a new goalkeeper to their squad during the week following an injury to first choice Ryan Marshall, with 17 year old Ross Sinclair joining on loan from St Johnstone until January. After making a solid start adapting to life in the GeoSonic Lowland League, Kelty Hearts welcome East Stirlingshire to New Central Park who recently parted company with manager John Sludden. Kelty come into the game in solid form, defeating Vale of Leithen 4-0 kast weekend before brushing aside Edinburgh United 8-0 in the Football Nation Qualifying Cup on Tuesday. Striker Mathew Gay bagged a hat trick against the men from the capital whilst Stuart Cargill netted his 150th and 151st goals for the club. Defeat at home against Vale of Leithen cost John Sludden his job as Shire now sit ninth in the table and have a lot of work to do to catch up with the title contendors. Shire have swiftly moved to replace Sludden, announcing the permanent appointment of stalwart midfielder and Shire legend Derek Ure as manager, and maverick striker Andy Rodgers as his assistant. Ure has made over 400 appearances for Shire whilst Rodgers has been a regular goalscorer at the Falkirk Stadium and a win on Saturday would be a huge statement of intent from the new management team as they aim to get Shire’s season back on track. In a fight for a top five position in the table, Ricky Waddell’s men will hope to continue winning ways while a Vale of Leithen must bounce back from last Saturday’s defeat. Edusport Academy will welcome the Innerleithen side to Annan after an impressive away win against one of the early season favourites in East Stirlingshire. A last minute goal from Liam Coogans saw Edusport grab a 2-1 victory and tighten their grip on seventh place. Vale of Leithen, however sit just above them in sixth despite a poor showing against Kelty Hearts last weekend. The side lost 4-0 in that away fixture despite coming off a massive 6-1 win against Gretna 2008 the weekend before, with manager Chris Anderson citing fatigue after a tough run of fixtures. One would imagine Vale would have been favourites, having upset early expectations that they would struggle, but after last weekend it goes to show that you can’t rule Edusport Academy out. A victory for either side will help them out as they fight for a place in the top five. A game that is almost top versus bottom where the defending champions are clear favourites, but their old rivals might be picking up? The home side will welcome Whitehill, sitting in 15th position to Ainslie Park after an addition to a series of victories when they beat a poor-form Gretna 2008 at Raydale last weekend. Four different scorers and four different goals for the Edinburgh side in that entertaining fixture. A win this weekend could see them surpass East Kilbride at the top of the table due to the latter being busy in an Irn-Bru Cup tie with League 2 Edinburgh City. Whitehill Welfare, after a total of six league defeats, finally gained their first three points last weekend with a 3-0 home win against Dalbeattie Star. Even a draw for the side could help in their fight to get out of bottom place in the Lowland League. It’s thirteenth against fourteenth in the Scottish Lowland League as two of the bottom three meet at the Islecroft Stadium on Saturday. Both sides come into the game on the back of heavy defeats with Dalbeattie Star suffering a 3-0 defeat at Whitehill Welfare whilst Gretna 2008 were beaten 4-0 at home to Spartans. With confirmation in midweek that the bottom side will still be relegated this season, both sides could do with a result as they only sit two points off the bottom and defeat could see them end the weekend at the foot of the table. The sides drew in this fixture last year, but both desperately need the points to take some momentum into their South Challenge Cup fixtures next weekend. East Kilbride face familiar foes in the second round of the Irn-Bru Cup as they welcome former Lowland League side Edinburgh City to K Park. City were one of the founding members of the Scottish Lowland League back in 2013 and are the only team at present to have gained promotion from the division to Scottish League Two. Edinburgh City beat League Two Albion Rovers in the first round while East Kilbride needed penalties to get past fellow Lowland League side Spartans after a 1-1 draw in ninety minutes. Both sides currently sit top of their respective divisions after strong starts and the meeting will be the first between the two clubs in over two years, the last being a 1-1 draw at Meadowbank Stadium. 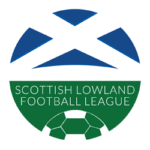 As always, look out for the Lowland League Roundup on Monday and follow the guys on twitter (just click their names under the headings)!